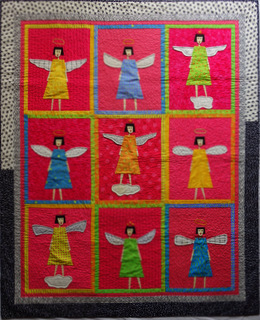 Below, are quilts that are not fractals!. 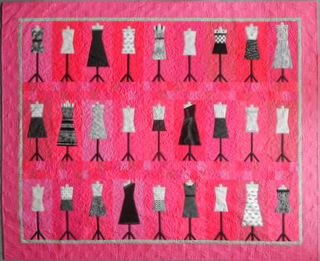 They were made using basic patterns by Jan Mullen, with lots of design and cutting decisions on the way. 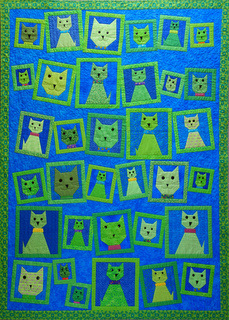 Catz, 2016, 50” (wide) x 53” (high), quilt for Andreas. 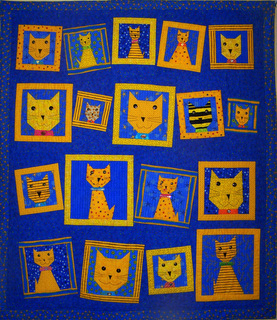 Metallic fabric border, binding and frames around the cats. Cats are brighter yellows than in the photo. Four cats are belled! 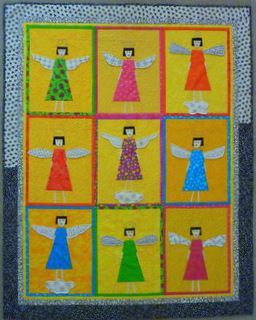 Absolute love these, you are so talented Pat.